Someone asked the Dalai Lama what surprises him most. 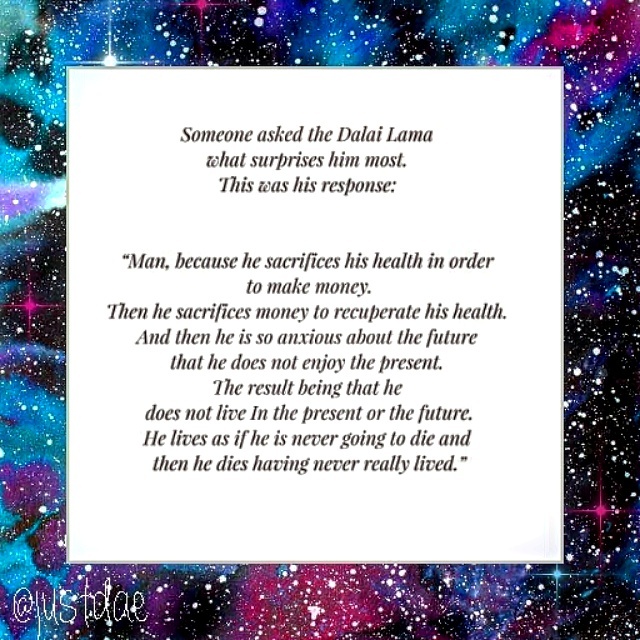 “Man, because he sacrifices his health in order to make money. And then he is so anxious about the future that he does not enjoy the present.